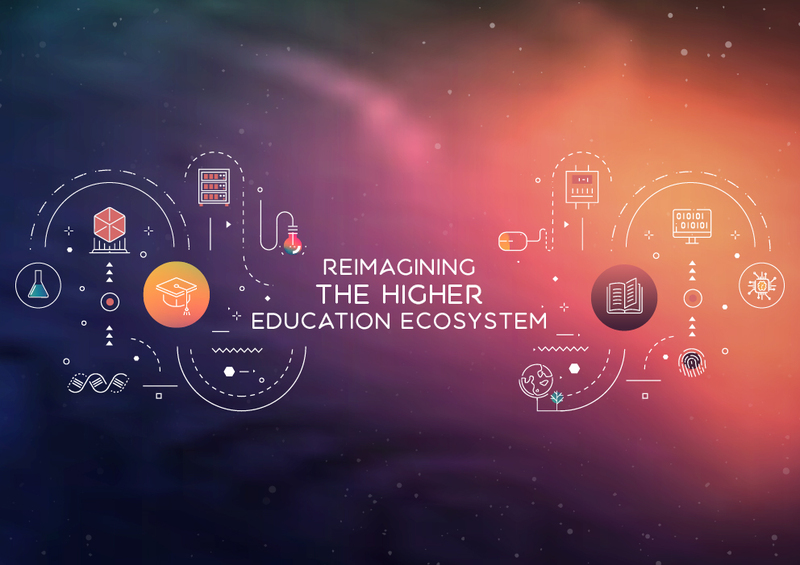 The Reimagining the Higher Education Ecosystem Challenge calls for bold ideas that will empower people to design their own learning journeys so they can lead purposeful and economically stable lives. 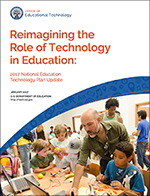 The National Education Technology Plan is the flagship educational technology policy document for the United States and sets a national vision and plan for learning enabled by technology. 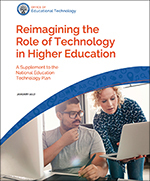 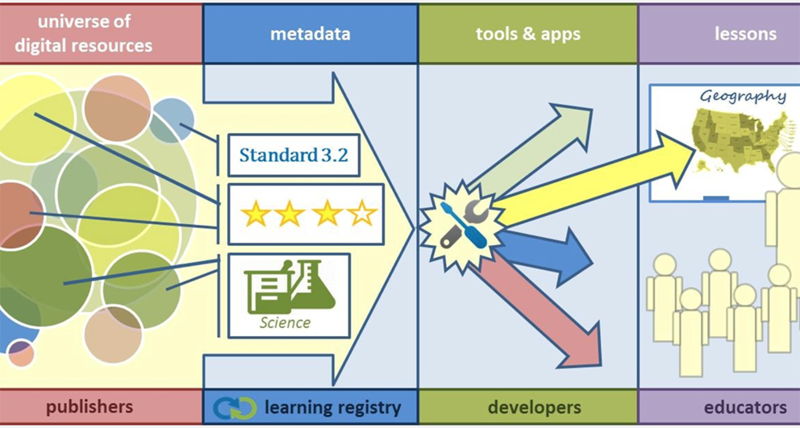 The Higher Ed NETP builds on the principles described in each of the NETP’s five sections—learning, teaching, leadership, assessment, and infrastructure—and examines them in the context of higher education. 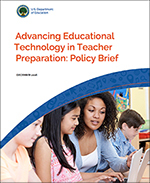 The NETP is the flagship educational technology policy document for the United States. 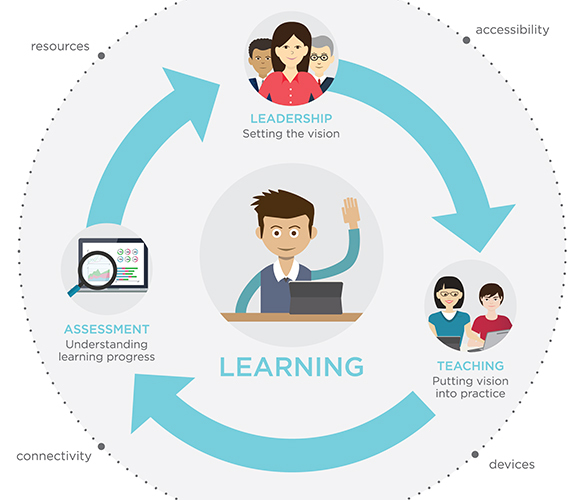 The plan articulates a vision of equity, active use, and collaborative leadership to make everywhere, all-the-time learning possible. 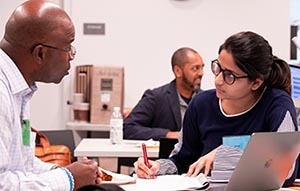 The U.S. Department of Education and the Data Quality Campaign hosted technical experts, subject matter experts, state leaders, parents, and other stakeholders for two days of sketching, prototyping and building solutions to help states design family-friendly approaches to report cards that make school data more transparent and accessible. 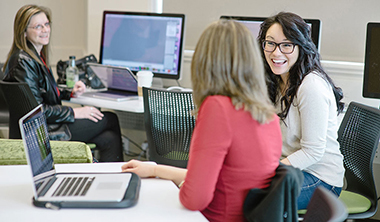 Learn more and see the prototypes. 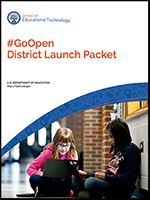 We discuss how States and districts may use new ESSA Student Support and Academic Enrichment (SSAE) funds to improve the effective use of technology. 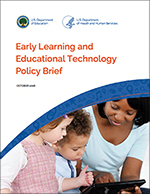 This brief, issued jointly by ED and HHS, will help those who care for nearly 36 million children from birth to age eight make wise decisions about media use and provides four guiding principles for families and early educators on the use of technology with young children.